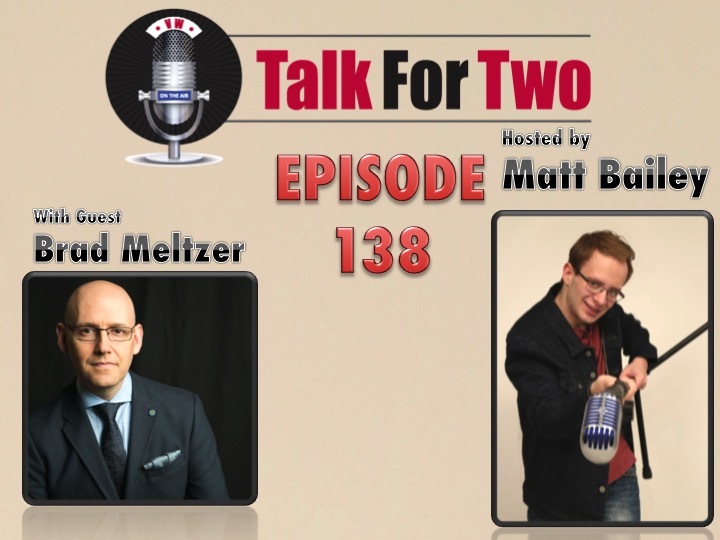 Talk For Two is proud to welcome award-winning and New York Times Best-Selling author, historian, and television host Brad Meltzer for a very special episode. In their brief time together, Matt spoke with Brad about his new children’s books, I Am George Washington and I Am Jane Goodall, released this past week. However, a majority of their interview is spent recounting an extraordinary story. A flag raised by 3 firefighters at Ground Zero on September 11, 2001 mysteriously vanished that night. The raising was captured in an iconic photograph from that day. The story of its disappearance was the subject of the first episode of Brad’s TV series, Lost History. The hope was that the flag would be returned to New York. In a stunning development, it has been found and verified to be very same flag raised that day as a symbol of hope among tragedy. Brad presented the flag to the National September 11th Museum and Memorial on Wednesday, September 7th, just hours after this interview and steps away from Talk For Two’s Lower Manhattan recording location. Click here to read the full story from the New York Times. This story and Brad’s new books have one thing in common: People. It is because of ordinary people that the extraordinary happens. Whether its Jane Goodall’s love and fight for Animals, George Washington’s patriotism, or the good deed of a citizen that helps a flag find its way home, you’ll hear why Brad Meltzer believes ordinary people can change the world.